Sandmeier, Franziska C. Chava L. Weitzman, K. Nichole Maloney, C. Richard Tracy, Nathan Nieto, Mike B. Teglas, Kenneth W. Hunter, Sally DuPré, C. M. Gienger, and Michael W. Tuma. 2017. Comparison of current methods for the detection of chronic mycoplasmal URTD in wild populations of the Mojave desert tortoise (Gopherus agassizii). Journal of Wildlife Diseases 53(1):91–101. Tuma, Michael W., C. Millington, N. Schumaker, and P. Burnett. 2016. 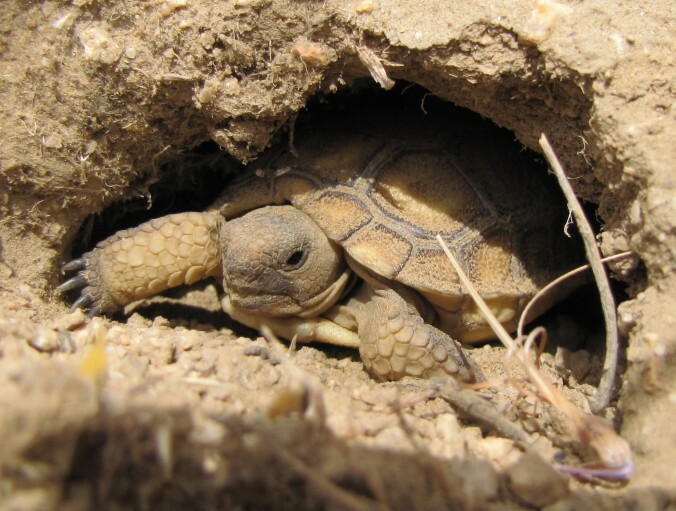 Modeling Agassiz’s desert tortoise population response to anthropogenic stressors. Journal of Wildlife Management 80:414–429. Nagy, K. A., L. S. Hillard, Michael W. Tuma, and D. J. Morafka. 2015. Head-started desert tortoises (Gopherus agassizii): Movements, survivorship and mortality causes following their release. Herpetological Conservation and Biology 10(1):203-215. Wasz, K. and Michael Tuma. 2014. (Tortoise) Food for Thought: Can Livestock Grazing and the Desert Tortoise Co-exist? The Desert Tortoise Council Newsletter 39(2):1–8. Tuma, Michael and W. Turner. 2014. The BLM-Bundy Debacle. The Desert Tortoise Council Newsletter 39(1):1–3. Tuma, Michael W. and C. B. Stanford. 2014. History of Human Interaction With North American Tortoises. Chapter 17 in Conservation and Biology of North American Tortoises Rostal, D. C., E. D. McCoy, and H. R. Mushinsky (eds). Johns Hopkins Press. Baltimore, Maryland. Stanford, C. and Michael Tuma. 2013. Pancake breakfast: The Pancake Tortoise’s biology is wonderfully bizarre, but also renders the species vulnerable to extinction. The Tortoise 1(2):56–63. Nagy, K. A., Michael W. Tuma, and L. S. Hillard. 2011. Shell hardness measurement in juvenile desert tortoises, Gopherus agassizii. Herpetological Review 42:191–195. Tuma, Michael W. 2006. Range, habitat use, and seasonal activity of the yellow mud turtle (Kinosternon flavescens) in Northwestern Illinois: Implications for site-specific conservation and management. Chelonian Conservation and Biology 5(1):108–120. Tuma, Michael W. 1993. Life History Notes – Kinosternon flavescens, multiple nesting. Herpetological Review 24(1):31. Juvenile Agassiz’s desert tortoise. Photo by Michael W. Tuma.